Indie line Dawn Spencer Hurwitz has launched Fou d'Opium, Zeitgeist 55, Albino (A Study in White), Reveries de Paris, The Voices of Trees and Noel Enchanté. Fou d'Opium ~ "After I created “Euphorisme d’Opium” for the YSL Retrospective at Denver Art Museum, I was contacted from far and wide to create an original fragrance that represents the sensuality and depth of “Opium Parfum” (Euphorisme is based more on the original eau de toilette formulation). It’s almost a kind of insanity, this love and reverence for one perfume…hence Fou d’Opium." Zeitgeist 55 ~ "Inspired by two icons of style of the 1950’s: Marlon Brando (as gang leader Johnny) and James Dean. Based on our original and eternally popular “Black Leather” design now expanded to encompass a full spectrum of leather nuances from the classic black leather motorcycle jacket to a deep, dry, modern suede undertone. Woody essences round out the composition. Zeitgeist 55: It’s a definitive leather scent." Albino (A Study in White) ~ "Albino is a fascinating modern fougere with a crisp fruity – citric start that dries down to a creamy wood and musk drydown. Basil, rhubarb, and white cognac add surprising elements." The Voices of Trees ~ "The essence of the forest: fresh conifers and green leafy deciduous trees mix with the scent of deep Autumn. Based on my original Seve de Pin (pine sap) design with added notes of maple leaves, sycamore, and an expanded bark-y, pine amber accord in the drydown." Noel Enchanté (Holiday fragrance 2015) ~ "A hot house flower in winter. A mix of heady tropical flowers with classic spicy oriental and deep, rich chypre elements. This year’s Holiday fragrance is inspired by the vintage tradition, for men and women alike, to wear hot house flowers in winter on their lapels, in their hair, and in corsages. For the night life and for parties, the most elegant would don their finery and a heady ‘white flower’ to complete their style." Dawn Spencer Hurwitz Fou d'Opium, Zeitgeist 55, Albino (A Study in White), Reveries de Paris, The Voices of Trees and Noel Enchanté are available in a variety of sizes and formats, for more information see the website. Right ! I am gonna get myself some Fou d’Opium !!! Blind buy it. Dammit. 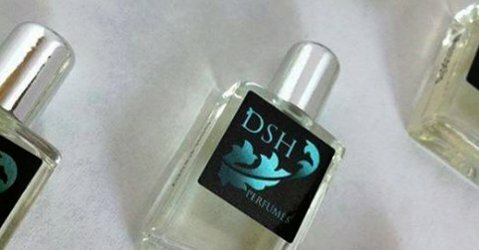 I cannot thank Dawn enough for recreating the original parfum . I bought 1 oz of vintage Opium extrait before the changes and I have not had the heart to open it . I just caress it genltly and curse the reformulation . Oo, The Voices of Trees sounds lovely, with its sycamore note! I need to dig out my sample of Seve de Pin — I’d forgotten about that one, but it’s such a nice, sun-warmed take on a resiny pine forest. I am entranced by the thought of Voices in Trees as well. I need to dig out my sample! Meredifay, I decided to transfer it to another atomizer.